I am a Principal Investigator on a Wellcome Trust Senior Investigator Award (2014-19), 'Prisoners, Medical Care and Entitlement to Health in England and Ireland, 1850-2000'. My interests lie particularly with the impact of prisons on mental wellbeing and the health of women prisoners, and work on the project has resulted in many public outreach activities, including the production of a new theatre piece 'Disorder Contained', a week at the Tate Exchange, and two projects that take our research into prisons. 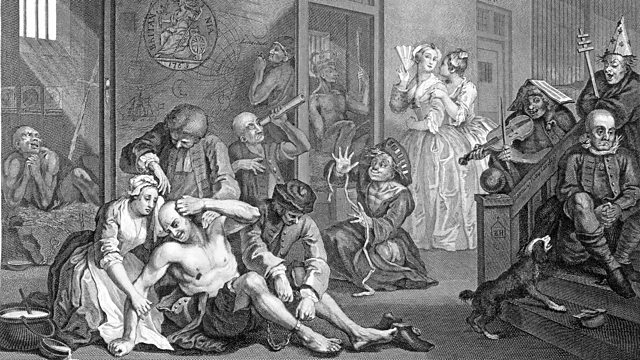 Over the years, my research has focused on the social history of medicine and health and practices of medicine, particularly in modern Britain. I have published on nineteenth-century medical practice, childbirth and midwifery, alternative medicine and hydropathy, women and medicine, infant and maternal welfare, neurasthenia, child health, and medicine and the household. I have am especially interested in women and mental illness, including the history of postnatal mental illness, and published Dangerous Motherhood: Insanity and Childbirth in Victorian Britain in 2004. In 2013 I published Health and Girlhood in Britain, 1874-1920, which explores the intersection of ideas of health, medicine and adolescence with the practice of health in schools, the workplace, and sport and recreation, particularly through the medium of advice literature. Alongside my project on prisons, I am currently working on domestic healing practices in nineteenth-century Britain, drawing on household medical guides, recipe books and chemists' prescription books. In 2010, with Dr Catherine Cox at UCD, I started work on a Wellcome Trust funded project on Irish migration and mental illness between the Great Famine and Irish Independence, which has resulted in a series of articles and a co-edited volume. In terms of public outreach, I am working with Talking Birds theatre group on the development of 'The Asylum Trilogy'. The first of these pieces, 'The Trade in Lunacy', was performed in June 2013 and the second piece 'A Malady of Migration' was produced in Coventry and Dublin in summer 2014. Between 1996 and 2000 I edited the journal Social History of Medicine and serve on the editorial board of History of Psychiatry. I am a member of the Wellcome Trust's Digital Library Committee and the Trust's Investigator Award panel. From 1999 to 2008 I was Director of the Centre for the History of Medicine at Warwick; during this period the CHM won two prestigious Strategic Awards from the Wellcome Trust. I took over as Director of the CHM once again in 2015. My current and recent PhD students have researched a variety of topics, including old age and mental illness in Victorian Britain; medicine and health in the Mediterranean islands; madness in Bourbon Mexico, 1713-1821; women and depression in interwar Britain; medical mission work in London, c.1900-1960; dirt, health and the home gardener in Britain, 1900-1970, and the history of Midland dispensaries 1820-1920. I am happy to receive applications of interest from students interested in studying the history of mental health, prison medicine, women and medicine, and domestic practices of healing at postgraduate level. 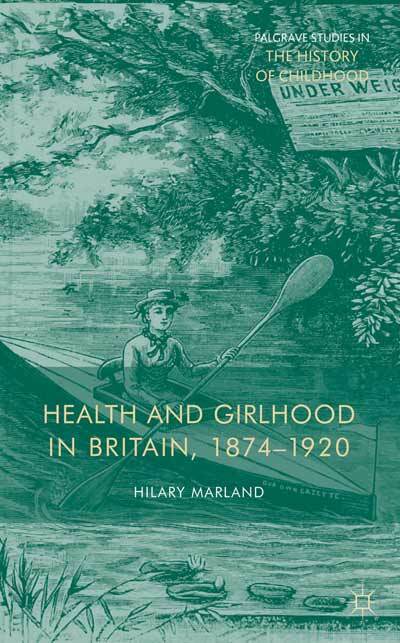 Health and Girlhood in Britain, 1874-1920 (Houndmills: Palgrave-Macmillan, 2013). Dangerous Motherhood: Insanity and Childbirth in Victorian Britain (Houndmills: Palgrave-Macmillan, 2004). Medicine and Society in Wakefield and Huddersfield 1780-1870 (Cambridge University Press, 1987, republished in paperback 2008). 'Mother and Child were Saved'. The Memoirs (1693-1740) of the Frisian Midwife Catharina Schrader (Amsterdam: Editions Rodopi, 1987). Catherine Cox and Hilary Marland (eds), Migration, Health and Ethnicity in the Modern World (Houndmills: Palgrave-Macmillan, 2013). Hilary Marland and Marijke Gijswijt-Hofstra (eds), Cultures of Child Health in Britain and the Netherlands in the Twentieth Century, Wellcome Institute Series in the History of Medicine (Amsterdam and New York: Rodopi, 2003). Hilary Marland and Anne-Marie Rafferty (eds), Midwives, Society and Childbirth: Debates and Controversies in the Modern Period (London and New York: Routledge, 1997). Marijke Gijswijt-Hofstra, Hilary Marland and Hans de Waardt (eds), Illness and Healing Alternatives in Western Europe (London and New York: Routledge, 1997). Hilary Marland and Margaret Pelling (eds), The Task of Healing: Medicine, Religion and Gender in England and the Netherlands, 1450-1800 (Rotterdam: Erasmus Publishing, 1996). Hilary Marland (ed. ), The Art of Midwifery: Early Modern Midwives in Europe (London and New York: Routledge, 1993, 1994). Valerie Fildes, Lara Marks and Hilary Marland (eds), Women and Children First: International Maternal and Infant Welfare 1870-1945 (New York and London: Routledge, 1992, re-issued 2013). (With Catherine Cox), 'Broken Minds and Beaten Bodies: Cultures of Harm and the Management of Mental Illness in Late Nineteenth Century England and Irish Prisons', Social History of Medicine, published open access 18/6/18. (With Catherine Cox), '"He must die or go mad in this place": Prisoners, Insanity and the Pentonville Model Prison Experiment, 1842-1852', Bulletin of the History of Medicine, 92 (2018), 78-109. (With Catherine Cox), '"A Burden on the County": Madness, Institutions of Confinement and the Irish Patient in Victorian Lancashire’, Social History of Medicine, 28 (2015), 263-87. (With Catherine Cox and Sarah York), 'Emaciated, Exhausted and Excited: The Bodies and Minds of the Irish in Nineteenth-Century Lancashire Asylums', Journal of Social History, 46 (2012), 500-24. ‘Under the Shadow of Maternity: Birth, Death and Puerperal Insanity in Victorian Britain’, History of Psychiatry, 23 (2012), 78-90. ‘Women, Health and Medicine’, in Mark Jackson (ed. ), The Oxford Handbook of the History of Medicine (Oxford University Press, 2011), 484-502. (With Jane Adams), 'Hydropathy at Home: The Water Cure and Domestic Healing in Mid-Nineteenth-Century Britain', Bulletin of the History of Medicine, 83 (2009), 499-529. (With Vicky Long), 'From Danger and Motherhood to Health and Beauty: Health Advice for the Factory Girl in Early Twentieth-Century Britain', Twentieth Century British History, 20 (2009), 454-81. 'The Changing Shape of the Hospital, 1800-1900', in Deborah Brunton (ed. ), Medicine Transformed: Health, Disease and Society in Europe, 1800-1930, OUP Course Book, A218 (Manchester University Press, 2004), 49-78. 'Midwives, Missions and Reform: Colonizing Dutch Childbirth Services at Home and Abroad ca. 1900', in Mary P. Sutphen and Bridie Andrews (eds), Medicine and Colonial Identity (London and New York: Routledge, 2003), 61-78. 'Getting Away with Murder? : Puerperal Insanity, Infanticide and the Defence Plea', in Mark Jackson (ed. ), Infanticide: Historical Perspectives on Child Murder and Its Concealment, 1550-2000 (London: Athlone, 2002). 168-92. 'Smooth, Speedy, Painless and Still Midwife Delivered? The Dutch Midwife and Childbirth Technology in the Early Twentieth Century', in L. Conrad and A. Hardy (eds), Women in Modern Medicine, Wellcome Institute Series in the History of Medicine (Amsterdam and Atlanta, GA: Rodopi, 2001), 173-94. '"Uterine Mischief": W.S. Playfair and his Neurasthenic Patients', in Marijke Gijswijt-Hofstra and Roy Porter (eds), Cultures of Neurasthenia from Beard to the First World War, Wellcome Series in the History of Medicine (Amsterdam and Atlanta, GA: Rodopi, 2001), 117-39. 'Childbirth and Maternity', in Roger Cooter and John Pickstone (eds), Medicine in the Twentieth Century (Amsterdam: Harwood International, 2000), 559-74. 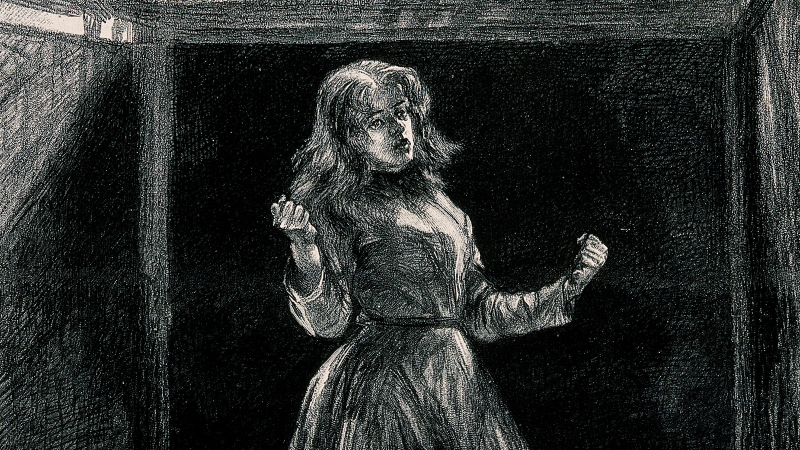 '"Destined to a Perfect Recovery": The Confinement of Puerperal Insanity in the Nineteenth Century', in J. Melling and B. Forsythe (eds), Insanity, Institutions and Society, 1800-1914 (London and New York: Routledge, 1999), 137-56. 'A Pioneer in Infant Welfare: The Huddersfield Scheme 1903-1920', Social History of Medicine, 5 (1993), 25-49. 'Questions of Competence: The Midwife Debate in the Netherlands in the Early Twentieth Century', Medical History, 39 (1995), 317-37. '"Pioneer Work on all Sides": The First Generations of Women Physicians in the Netherlands, 1879-1930', Journal of the History of Medicine and Allied Sciences, 50 (1995), 437-73.